Cerys Jones has become the second new Sales Team Assistant to join Mistral Group this year. Having spent more than six years working in the customer-focussed hospitality industry, Cerys, who enjoys drama, theatre and meeting new people, was a natural fit for the role. “I was looking for a new challenge and Mistral has provided the perfect opportunity for me,” she said. “So far, getting to know the job, my colleagues plus our clients has all been one big learning curve but I’m really enjoying it. In welcoming Cerys to the role, Freddie Fuller, Mistral Group’s Communications Manager said: “We have been very impressed by Cerys’ confident start. “She is a natural communicator and I have no doubt she will do a super job for Mistral and our clients. “Although she is new to the bus, coach and finance industries, she has put in the work to understand Mistral’s extensive range of products and services. Cerys has joined Francesca Bottomley in the Mistral Group office in Manchester where they work together to build on existing client relationships and on generating business leads. 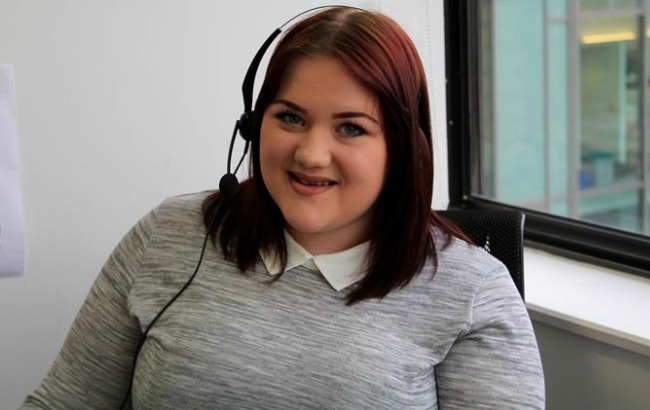 Listen out for Cerys on the phone!